The hustle and bustle of today’s busy world can make it difficult for businesses to focus beyond the task at hand. The businesses that take time to be strategic and intentional, however, are often the most successful. They start by building a foundation for their business and then move onto developing the “stuff”- what they do and how they do it. Only once all that is in place, do they shift their focus to the “extras” such as giveaways and social media. 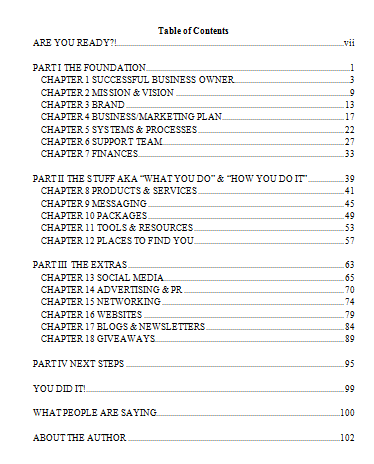 In this book, Michelle talks about building the foundation of your business, then adding the “stuff” and then the “extras”. She shares key parts of each and asks thought provoking questions to help you be more strategic and intentional in your business. The book is a great first step toward looking beyond the day to day and taking time to work “ on” your business instead of “in” your business. Michelle Smith knows firsthand about the success that comes when you slow down, get strategic, and focus beyond the day to day activities in your business. Throughout her career she brought companies to great heights by focusing first on the foundation and then on the “stuff” and the “extras”. She later used what she learned as she started her own company and, true to form, saw tremendous results. Today Michelle works with entrepreneurs, small businesses and nonprofits to help them be strategic and intentional in all they do so they can see the success they’ve been dreaming of. 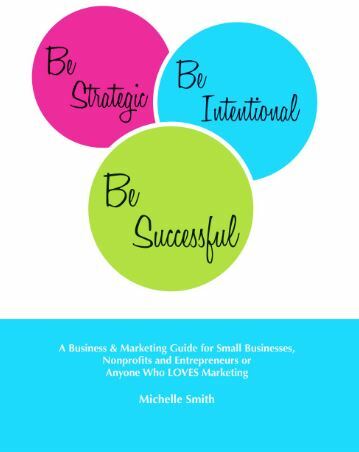 The book is a great view into how Michelle works with her clients in her Magnify Your Marketing program where they build a plan for their business in just three days and her Private Coaching and Consulting where she continues working with clients and provides guidance as they carry out their plan. $40 autographed copy mailed to your home. Want it sooner and live near Michelle? Email her to arrange a local pick-up and get a reduced fee.